Isn't this a cool way to display daylilies? I saw this somewhere in southern Illinois on a tour for the American Hemerocallis Society...I wish I could remember where exactly it was! It is three same-sized bowls, filled 1/3 with water, and floating a single daylily bloom. Very cool and easy idea. Here are some handmade items from Etsy I found this weekend that will for sure inspire you to either pull out your credit card or your artist's brush - maybe both! If you have never used or seen Etsy before, their mission is to enable people to make a living making things, and to reconnect makers with buyers. It is a great online community, where I have bought many armloads of goodness and gathered a ton of personal inspiration. 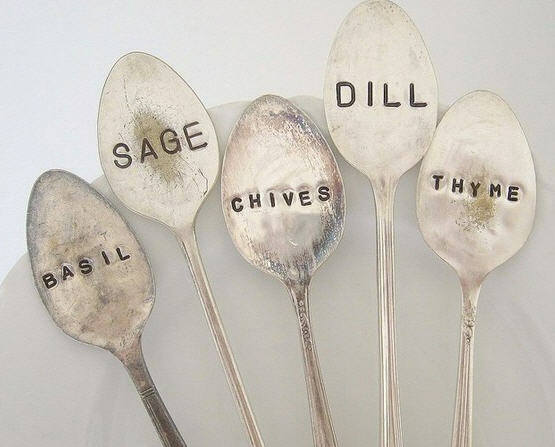 First, these hand-stamped, flattened-spoon plant markers are adorable. You can also find forks and knives stamped for your herb gardens, too. I can imagine all kinds of uses for these little markers. I started stamping the spoons in my dad's handmade spoon and fork windchimes with inspirational words and short phrases. It's a cool idea! My friend Catherine has some of these alphabet metal stamps...I will have to borrow them! This old growth, reclaimed cedar wood seed starting tray is very interesting. Like clay pots, cedar wood naturally regulates temperature and absorbs excess water. 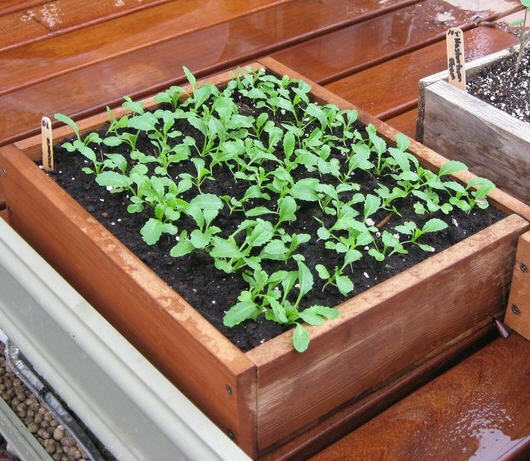 Your plants' roots won't become too cold or too hot, thereby helping to provide your seeds with the very best conditions. This seller has lots of reclaimed wood items for sale in their Etsy shop- be sure to click on the "More from this shop" link to see what else they offer. 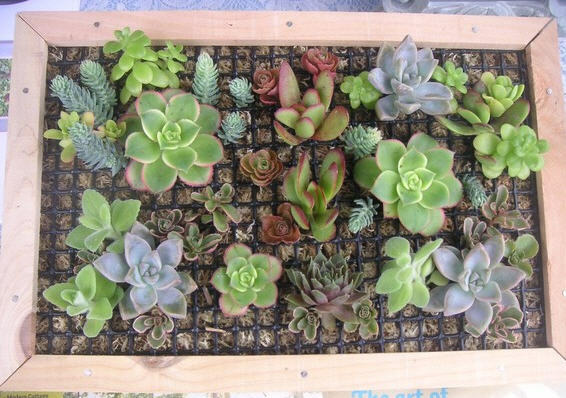 I have never seen succulent wall art before, but here you can buy the kit to create one of your own. This shop is called Succulents Galore, and I am now addicted. They have so many succulents and cuttings of Aeoniums, Echeveria, Jade, Crassula, Sempervivum, Aloe, Sedum, and cacti for sale...and lots of inspiration! License plates are a personal guilty pleasure of mine. My dad has one of his garage walls covered in them and we incorporated them into my son's garden clubhouse we built this summer. 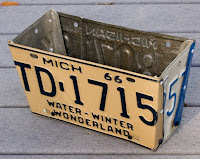 I found these cool license plate flower boxes that are pretty neat - a great idea for a winter project. I'm thinking of getting my hands on this Michigan themed one. I wish I had the tools to make them myself. 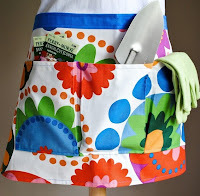 For my 8th grade clothing class sewing project, I picked out a flouncy, tiered apron pattern. I never got past constructing the waist band, and received a deadpan D for the project, but now I have a credit card which allowed me to get the apron I couldn't make on my own! In fact, I have six. Take that, eighth grade sewing teacher! Why didnt I think of this?!? 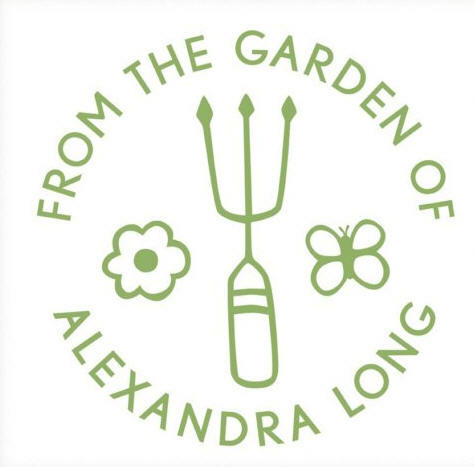 A personalized stamp that I can use for those plants I share or sell, letting my customers know they are getting a little piece of my green universe! This one is super cute! You can use this design on your plant tags, your business cards, on your receipts, or even on your flyers. Even if you think you "just" have a small backyard operation, the small customer-centric touches like this really cement your repeat business. 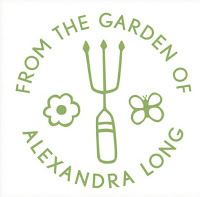 I ordered this one to use on my garden thank you notes! I love colored glass in the garden. If any of you will be attending the Region 2 Winter Symposium, I will have a small booth at the boutique selling some of my "upcycled" glass garden vases. Since I started putting them in my garden this summer, I have sold every one right out of its place in the garden, so I thought in order to keep the ones I made for myself, I needed to create an inventory. I now have 25 in stock, ready to sell in person to my daylily friends. 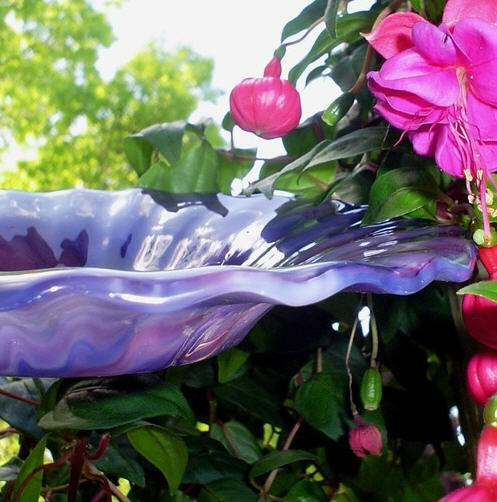 Here is a great glass seller/producer from Etsy that has some wonderful glass birdbaths. She made the one shown here on the left. And finally, for those serious photographers out there, you totally need this camera strap cover. I love mine and it really does make a difference on my neck when carrying that camera about the garden on tours or long walks. 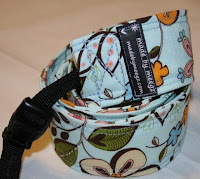 But, if you are planning to purchase one of these, make sure you buy one with or without the camera connection straps (the black smaller straps in the photo to the right.) The first time I bought one, I just bought the "sleeve" for my existing strap, which is not what I wanted. I wanted the whole new, padded neck strap. If that is what you want, too, make sure the item description says it comes with these attached- some (most) don't. No, I did not receive an endorsement of any kind for showing you these delicious products. (I wish I did!) I just wanted to share some of the goodness I found in cyberspace for our gardens. I hope you enjoyed them! 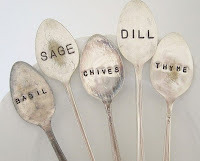 we can totally make stamped spoon plant markers. can i use them to mark other things? now i want to check and see if my stamps work on all things metal. i can't see why not. No Cats allowed... Wait no Kids or husbands either. Love it! My friend has a vast collection of succulent wall in their home. He told me that this has been his addiction ever since his girlfriend gave him a succulent wall.